NMRL researchers will be presenting at the NATA Annual Meeting in Las Vegas (June 24th -27th). Three researchers have been selected for platform presentations, and two others for poster presentations. Pitt magazine article "Perfect Fit", highlighting the UPitt Warrior research projects, was nominated along with Director of University News Cara Masset for a Golden Quill award for best health feature. This article was published in the Fall 2012 issue of Pitt Magazine. NMRL researchers presented at the ACSM Annual Meeting in Indianapolis, IN (May 28th - June 1st). Timothy C. Sell, PhD, PT has been awarded tenure and promoted to Associate Professor in the Department of Sport Medicine and Nutrition in the School of Health and Rehabilitation Sciences. Dr. Sell currently serves as the Director of Graduate Studies in Sports Medicine and is the Associate Director of the Neuromuscular Research Laboratory (NMRL), where he serves as both PI and Co-PI on several research studies being conducted by the NMRL's Warrior Human Performance Research Center. Dr. Sell received his Master's degree in Human Movement Science at the University of North Carolina at Chapel Hill and completed his PhD in Rehabilitation Science at the University of Pittsburgh. The success and advancement of the Department of Sports Medicine and Nutrition, the Neuromuscular Research Laboratory, and the field of Sports Medicine are due in large part to Dr. Sell's renowned leadership and expertise. We are very pleased to announce that Kevin Conley, PhD, ATC, has been promoted to Associate Professor in the Department of Sports Medicine and Nutrition. Dr. Conley serves as the Vice Chair of Department of Sports Medicine and Nutrition, Program Director for Athletic Training Education, and Assistant Dean for undergraduate studies in the School of Health and Rehabilitation Sciences. Dr. Conley completed his PhD in Rehabilitation Science as well as his Master's degree in Sports Medicine at the University of Pittsburgh. Since joining faculty in 1993, Dr. Conley's service has had a tremendous impact on his profession, students, and community. The Fall 2012 issue of Pitt Magazine highlights the pioneering research led by Dr. Scott Lephart and faculty of the NMRL. 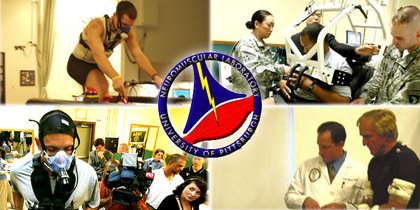 On November 15, 2012 faculty and staff of the UPitt Warrior Human Performance Research Center met with Members of the Air Force Special Operations Command (AFSOC) to kick off a new research relationship focused on the prevention of injuries and performance enhancement of AFSOC Operators. This meeting sought to layout the focus of the new project with Principal Investigator, Timothy Sell, briefing AFSOC Command on the details of UPitt's research process. Jon Akins recently worked with the Training Lab to launch the Sports Injury Prevention Project. The aim of the project is to reduce injuries and optimize performance using scientifically based protocols. The first group we worked with was Il Bisonte Azzurra San Casciano Volleyball. 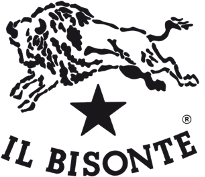 Based near Florence, Il Bisonte play in the top Italian women's volleyball league. We also evaluated elite waterpolo, tennis, and golf athletes. For photos and more information (in Italian) visit the I1 Bisonte Website. In January of 2013 the USA Special Olympics Team will travel to Pyeongchang, South Korea for the Special Olympics World Games. One familiar face to the University and the NMRL will be traveling with that group to Pyeongchang. Dr. Kevin Conley is an athletic trainer, director of athletic training education at the University of Pittsburgh and has been volunteering with the Special Olympics for the past 14 years. A recent Trib Total Media report highlighted his recent appointment as the head of the medical team for approximately 151 athletes and dedicating to his passion of sports and volunteering. The UPitt Warrior newsletter provides the most updated information of our research with the Department of Defense.